The first question is the most obvious, and this is the one that most people spend all their time focusing on. What are you trying to sell me? You need to explain what your offer is, why the prospect should want it, and if it’s even relevant to that individual. This is the simplest part of the perfect pitch because you’re making a definition of tangible asset rather than talking in abstract concepts of value. The next question the prospect is asking them self is how much? Now what the prospect is really asking is, is this a fair/good deal. It is important to understand that the prospect only needs a fair deal they do not need a bargain. If there is enough return on investment on the table prospects don’t want to waste time negotiating with you on price. If everything seems fair to question a price will not even come up in their mind. We will cover it in a later video but they need a high return on investment, rather than super low pricing that blows away. Next the prospect wants to know that you’re not trying to trick them or that your prices too good to be true. Hint: in the world of business if the price seems too good to be true it probably is. There are numerous ways to improve the believability of your pitch which will touch on in later videos for some examples include starting your pitch as a testimonial from a customer for example the media medical device sales I would start a pitch with “hey, your colleague in the theatre opposite got XYZ value from 123 product”. Humans generally are naturally insecure/sceptical. We are all like this because if we weren’t predators would be able to trick us and kills us. Humans generally are naturally insecure/sceptical. We are all like this because if we weren’t predators would be able to trick us and kills us. Remember we don’t have any weapons to defend ourselves in the wild, our biggest advantage in nature are our brains and ability to think quickly on the spot. There is an additional pressure the people in the B2B world because they have both their egos, and their livelihoods on the line. If they accept the pitch, they believe what you’re telling them and buy. If it all falls apart, they look stupid to their colleagues and they could even get sacked which means they’re not going out to pay their mortgages. Your prospects have got to trust you that the return on investment that you’re pitching them is worth the potential pain of changing service provider or getting set up the first place. And like George MacDonald said, “to be trusted is a greater compliment than being loved.” Not that you were looking for your prospect’s love, but you get the gist. The final question the prospect is asking themselves is, what is in it for me. 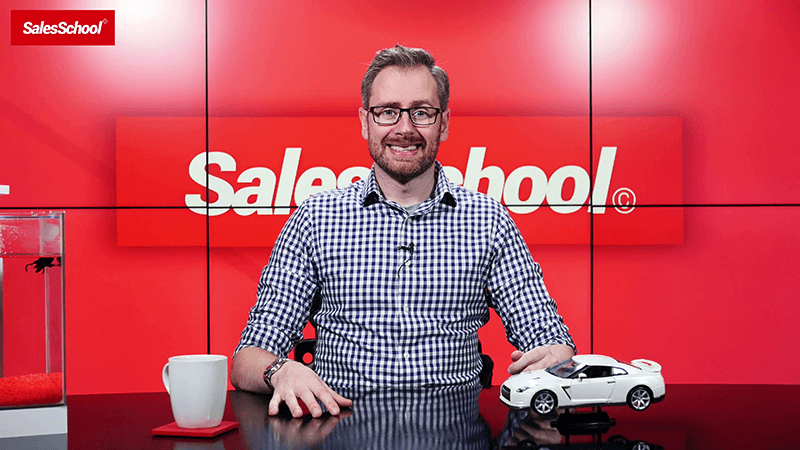 This is the most important question and the one most underappreciated by sales professionals. People only care about number one, even if your product can save the business that they work for money, the prospect is only going go with it if it makes them look good as well. We also need to pitch the prospect on what they are personally going to get out of using our product or service. There is a clear distinction here and this is how you separate your pitch from others. You must pitch why the product or service is great for the business itself, of course this is obvious and is what you been doing for the whole of your career most likely. But we also need to pitch the prospect on what they are personally going to get out of using our product or service. Have a return on investment for an individual might be that it frees up their time if they are feeling overwhelmed, or it makes them look so good in their position that they get offered a pay rise or promotion. Your perfect pitch must scratch layer deeper and pitch the prospect and how it can help then either improve their career, take some of their day-to-day hassles off the plate or some other benefit that directly affects them. This is where the statistics come in. The top salespeople calibrate their pitches to tailor specifically to the needs of their prospect. According to the Rain Group, the top salespeople calibrate their pitches to tailor specifically to the needs of their prospect. This means having 69% of primary research data being relevant to the prospect’s business or having 67% of the pitch’s content specifically tied to the situation that your prospects are in (that is, the situation that might make them want to buy your product to begin with). These things may seem obvious on the surface but it’s important to keep in mind how your prospect may have seen a million bland, by-the-numbers pitches that have been given to every other business in the country. If you ensure that you are after this prospect and this one alone it’ll make them feel important and stroke their ego in the best way possible. The exciting thing is that if the prospect resonates with this part of the pitch they are already seriously considering your offer. Expect them to give you some objections to break through but see it as a buying signal for sure. Think like when a guy or girl you fancy is playing hard to get, you’ve just got to try that little bit harder in winning them over.